The Florida airport shooting suspect sought help for mental problems weeks ago, said his brother, who questioned why more wasn't done. Bryan Santiago said police took Esteban Santiago, 26, to a mental health evaluation, which released him after only four days. The former Army reservist walked into an FBI office in Anchorage, Alaska, on Nov. 7 "to report that his mind was being controlled by a U.S. intelligence agency," Special Agent in Charge Marlin Ritzman told reporters. 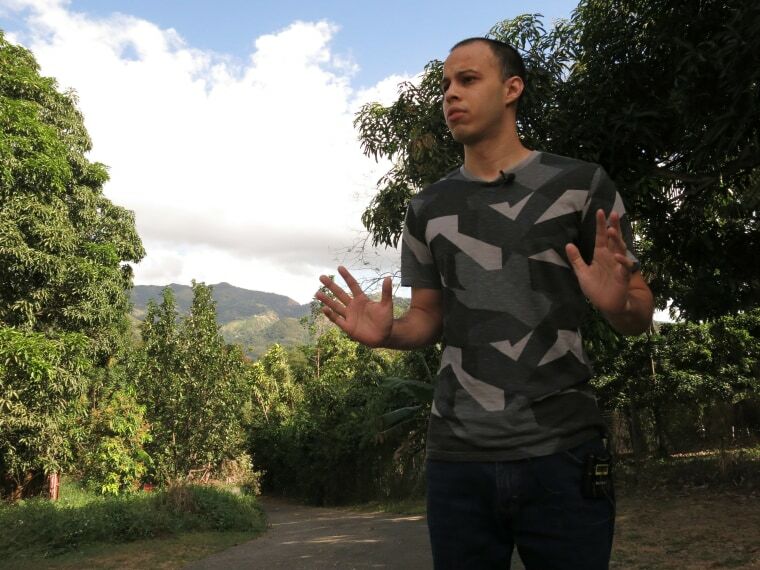 In an interview with Telemundo in Puerto Rico, Bryan Santiago said: "Four days for a guy who talked to the FBI [about] those things ... that is a serious argument, you know? He goes to the FBI saying that he [was] hearing voices, that the CIA are saying that he needs to join ISIS." The FBI and police said Saturday that they were still seeking treatment records. Local police held Santiago's gun for safekeeping after he was taken for treatment, but it was returned the next month, officials said. Ritzman said Saturday that the FBI investigated Santiago after the November incident, conducted inter-agency checks and reviewed databases. "During our initial investigation, we found no ties to terrorism," Ritzman told reporters. "He broke no laws when he came into our office making disjointed comments about mind control." Santiago was born in New Jersey and raised in Puerto Rico. In late 2007, he joined the Puerto Rico National Guard and served a 10-month deployment to Iraq from April 2010 to February 2011. Bryan Santiago said his brother was "still a nice guy but sometimes more furious" after he returned from Iraq. But he said his brother later seemed to develop mental issues, and, during a visit to Alaska months ago, "he told me about these things that he [was] hearing voices, seeing people following him, the CIA and the government are, you know, writing him secret codes on the website to him and to join a group." A motive in Friday's shooting at a baggage terminal at Fort Lauderdale-Hollywood International Airport is still under investigation. The FBI said after the shooting rampage that Santiago told investigators he planned the attack, according to an affidavit in a criminal complaint filed Saturday. Santiago said he checked a bag with a Walther 9mm handgun in it and two magazines of ammunition, picked up the bag after landing in Florida, loaded it in a bathroom and stepped out and shot the first people he encountered, the FBI said in the affidavit. Federal guidelines allow passengers to check unloaded guns in locked cases and also allows for ammunition to be placed in checked baggage. After Santiago was released from the mental health facility, Anchorage police returned his gun on Dec. 8 after coordinating with the FBI, Anchorage Police Chief Chris Tolley said. Anchorage officials are still investigating the case. The U.S. attorney for Alaska, Karen Loeffler, said federal laws restricted gun possession by anyone "adjudicated mentally ill" — which she noted was a "difficult standard" to establish. Based on federal standards, Santiago "is not somebody that would have been prohibited based on the information that they had," she said. Bryan Santiago said that when his brother told him in Alaska that he was hearing voices, he urged him to seek professional help. "They knew it, that he has psychological problems. When FBI visited me yesterday here, they told me that," Bryan Santiago said. "That he went to FBI offices. If they knew it, then why did they have him free?" "I want to say to the international and American people that he, before that, went to FBI office in Anchorage, Alaska, asking for help," Bryan Santiago said. Santiago was charged Saturday with three federal counts and faces the possibility of the death penalty if convicted, prosecutors said.